Yesterday, The Flight Deal posted an incredible deal from Los Angeles to Moscow. The fare actually dropped after they posted it and many people have been able to buy flights for as little as $600. “Yeah,” someone told me, “It’s a great deal, but then you need a Russian visa.” Well, maybe you need a visa, but what if you could turn a $600 sale fare into a sub-$800 trip to practically anywhere you want to go in Europe? It may be possible if you play your cards right. Edward Snowden’s dramatic flight from Hong Kong to Moscow, and the limbo he was caught in at the Sheremetyevo Airport transit zone, became worldwide news last year. Still, most people don’t know that it’s possible to transit through Russia without a visa by using the Russian Transit Without Visa (TWOV) program. There are some rules that you need to follow but it works well, and I have done it nearly a dozen times through both major Moscow airports. Why would you want to either fly through Russia or transit without a visa if you’re not running from the NSA? It’s simple: to save time and money. Russian visas are notoriously complicated and expensive to arrange. However, Russia is an excellent low-cost transit point between Europe and Asia. Aeroflot, for example, consistently offers low fares to Europe from Tokyo and Beijing. This is particularly true in the winter, where Aeroflot practically gives tickets to Moscow away. If you play your cards right, you can save hundreds of dollars by flying through Russia and transiting without a visa. Ignore all of the bad advice to “be safe and get a visa.” You don’t legally need one if you meet the requirements of the TWOV program so doing this doesn’t really give you any “safety” at all, it just gives you added cost and hassle. The easiest way to transit without a visa is to buy a complete itinerary on a Russian airline. 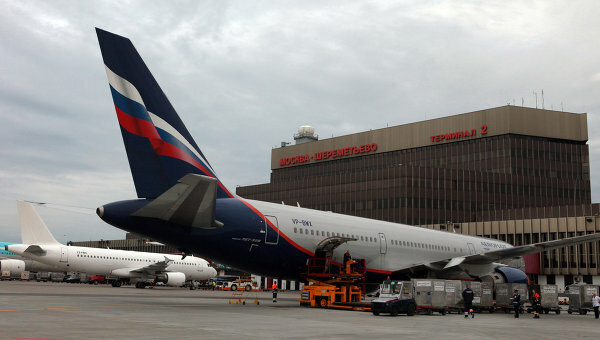 This minimizes the possibility of anything going wrong and Russian airlines are effective at dealing with local authorities (for example, Aeroflot has a special wing of the local Novotel for transit passengers stranded due to operational delays). However, it’s not strictly necessary to do this. You could buy a cheap ticket to Moscow, for example, and then a cheap onward ticket from Moscow to another destination. Your bags must be checked through to their final destination, because you will be unable to claim them in a Russian airport and re-check them. So, be sure you buy on carriers which cooperate with ticketing and baggage agreements so you can check in for your entire itinerary (and receive boarding passes and through bags) at your originating airport. These agreements roughly follow the lines of the airline alliances (Skyteam, Oneworld and StarAlliance). You can also be denied boarding if you don’t meet the requirements for the TWOV program, so make sure your trip qualifies! Fortunately, most trips do. Note that even if you do manage to talk your way onto the plane, if your trip doesn’t qualify for TWOV, the infamously humorless Russian immigration authorities will promptly deport you if you arrive without the proper visa (unless your name is Edward Snowden). You’re not a Russian citizen. Russian citizens (or anyone Russia considers a citizen) are required to enter and leave Russia on a Russian passport. So, if you were born in Russia, left as a child, have never returned since, you don’t have a Russian passport, and you’re a naturalized US citizen, you may still considered by Russia to be a Russian citizen. So, you could be warmly welcomed home to Mother Russia and required to apply for a Russian passport before you are allowed to leave. This can take 6 months or more. Also, if Russia considers you a citizen and you didn’t complete your mandatory military service, you could be conscripted immediately into the army. It’s probably best to avoid Russia entirely if any of these scenarios could apply to you. You’re flying into and out of the same airport. TWOV is only valid if you do not leave the sterile transit zone of the airport. You can’t fly into one airport (such as Sheremetyevo) and out of another (such as Domodedovo) without a Russian visa. Your bags are checked through to their final destination. TWOV doesn’t work if you need to claim and re-check your bags. It’s always best to have only carry-on luggage, but there is no problem if you have checked luggage and it is tagged through to your final destination. Your originating and departing flights are both international. It’s totally OK to fly an itinerary such as Amsterdam-Moscow-Beijing, as long as you’re not changing airports in Moscow. However, you can’t fly an itinerary like Amsterdam-St. Petersburg-Moscow-Beijing. This is because a domestic Russian flight is included, so you’d need to clear immigration (which requires a visa). You’re not going to Belarus. Russia and Belarus share a customs and immigration union, and flights to and from Belarus are treated as domestic flights in Russia. So, you’ll need to have a Russian visa, because you’re entering the Russian domestic customs zone. The airport you’re using has an international transit zone. It’s very unusual to TWOV in any Russian airport besides the two international airports in Moscow. However, this is permitted in a few other airports with international transit zones. If you’re using a complicated itinerary such as a flag stop, make sure that TWOV is permitted in the airport you plan to use before you book it. Otherwise, you might have a nasty surprise. Your transit period is less than 24 hours. Ideally, you will want it to be far less than this. Russian airports are neither cheap nor comfortable places to wait for a long period of time. Note that you can exceed the 24 hour transit period in the event of flight delays or cancellations, but you cannot leave the transit zone of the international airport. It could be a miserable wait! If you can follow the above guidelines, don’t hesitate to fly through Russia without a visa. It’s definitely not for the novice traveler, and you do need to pay attention to the details. However, if you follow the rules, it works just fine. You don’t need a visa. Save the money and time, and enjoy both on your trip instead! Thanks for the informative post. Do you know if it’s possible to TWOV if our flights in to and out of Moscow are on different tickets. Are we likely to be denied boarding when we show up for our first flight (with Aeroflot) in the US? If both tickets are with Aeroflot you should (in theory) be OK, but if they’re with different airlines you’d have to go outside the sterile area of the airport to check in with your second airline and collect a boarding pass. This means you’d need a visa. It worked! We had to talk our way on to each flight, but we had checked in for the second flight ahead of time, and printed our tickets and visas for our eventual destination, and with a bit of explanation each time we were asked we managed to get there.